Finding the right eyebrow product is down to personal choice. Some prefer a powder, a wax or pencil to fill in and define their eyebrows. 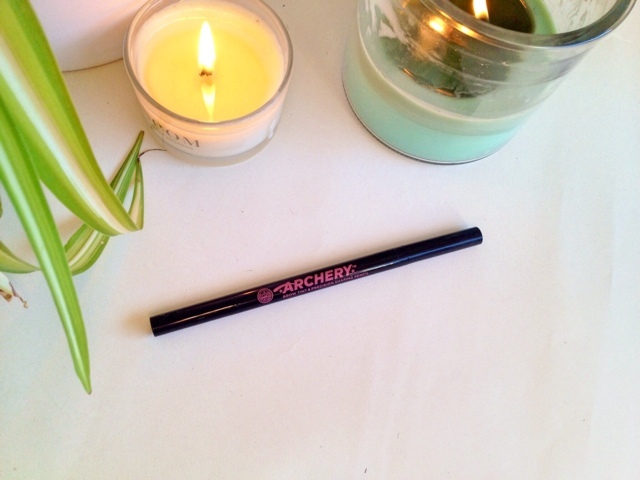 Soap and Glory Archery is a pencil on one end and a felt tip pen on the other. On the opposite end is the brow tint, a fine nib felt tip pen that delivers just the right amount of colour. Some people have said that they find the nib to be dry making it hard for the product to come out, I haven't found this so I'm unsure whether they have a fault one or not. 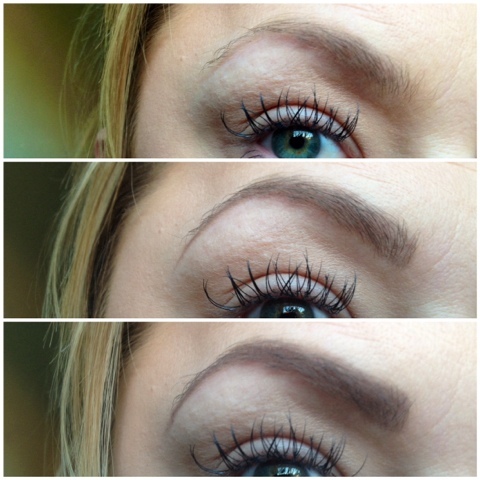 The brow tint allows you to achieve a very natural shape. 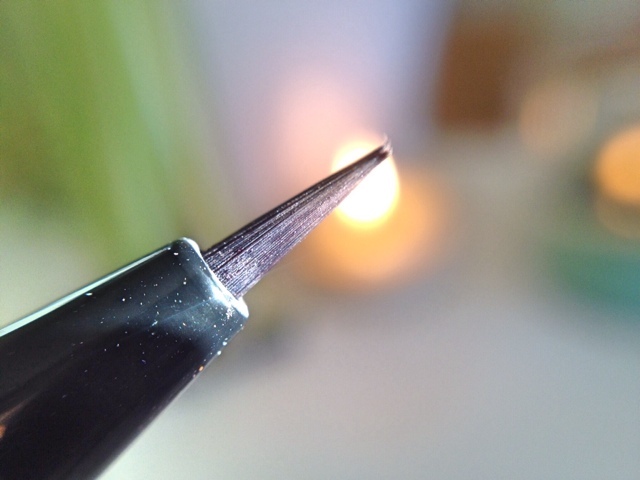 The pen mimic's hairs in a feather like stoke creating a very natural brow that can be built up for a more bold look. 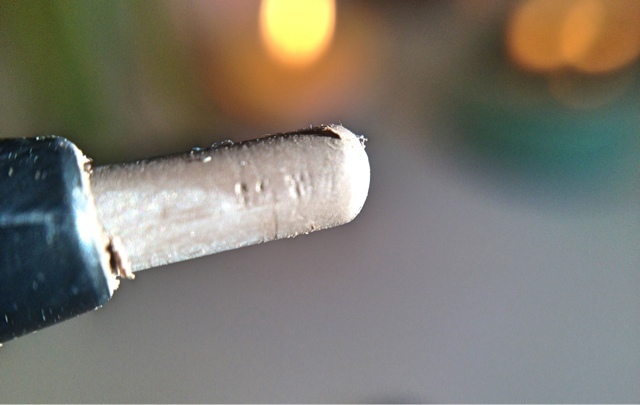 I like to use this end for drawing in the start of my brows as the lines appear less harsh and more natural. Using the two ends together you can easily achieve the perfect brow whether it be light and natural or more bold and dramatic. The colour I have is brownie points which is the darkest of the two shades they have to offer. I find it to be a perfect match for my brows, edging on more of the achy side of brown. When using Soap and Glory's Archery I find my brows keep their colour and shape all day without the need to touch up. The colour doesn't smudge or transfer and well worth the £10.00 in my opinion,.. even if it's just for the brow tint alone! What products to you use for filling in your brows, have you tried this yet? I love the sound of this! I've not tried any Soap and Glory make up before but this might have to be one of the first things I try. After reading this, I have decided I need to buy it! looks amazing! I've always wanted to try this and I'm on the look out now my Rimmel one is very short!